Sunderland defender Bryan Oviedo looked set to move to West Brom last month. Sunderland defender Bryan Oviedo has opened up on his failed move to West Brom on transfer deadline day. The Costa Rica defender travelled to the West Midlands to complete his move to the Hawthorns, before the deal collapsed at the the eleventh hour. Speaking to media in Costa Rica, Oviedo said: “I was notified at 6pm, I travelled about 3 hours from my house, I did the medical tests and I signed, but in the end it was 11.05pm and I saw that something was strange. Sunderland owner Stewart Donald has denied reports the Black Cats were to blame for the deal falling through. Speaking to the Roker Rapport podcast, Donald said: “We left it to Bryan and West Brom and the paperwork never arrived. Why that didn’t happen is down to West Brom and Bryan, not Sunderland. Understandably, Oviedo didn't feature in the matchday squad as Sunderland overcame AFC Wimbledon 1-0 on Saturday afternoon. The defender could return when Sunderland travel to Oxford next weekend but midfielder Lee Cattermole remains a doubt. Cattermole missed the Wimbledon win after picking up an ankle injury during training last week. 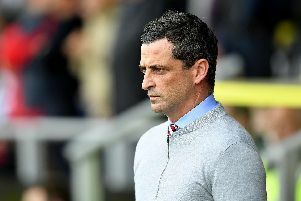 And Sunderland boss Jack Ross believes the clash with Oxford will come too soon for the midfielder. Ross also hopes new signing Will Grigg will return to full training in the middle of this week after suffering an ankle injury while playing for Wigan last month.